This is another possibility for writing arbitrary values to the PLC. 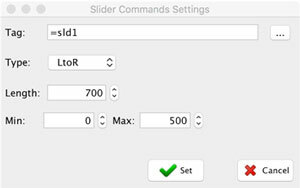 You can create a slider control, enabling the user to move the slider and write values to the PLC. 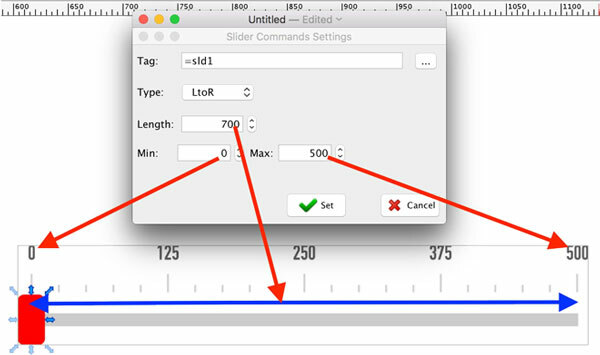 The slider can be a simple object as shown below, or it can be a complex scenario like moving items on a conveyor. Any graphical object on your screen can act as a slider. 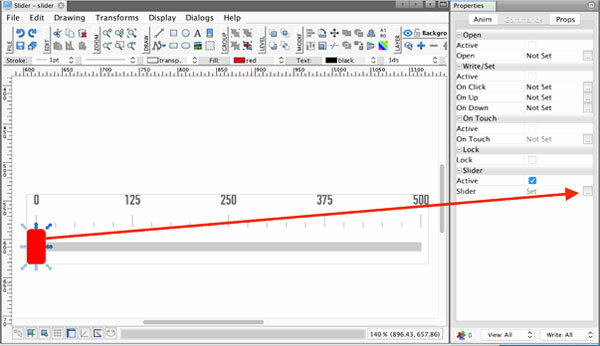 To activate this control, select your graphical item, navigate to the Write/Set command options in the Properties window, and select Slider. Tag – either manually or from the tag database by clicking on the ‘…’ button.